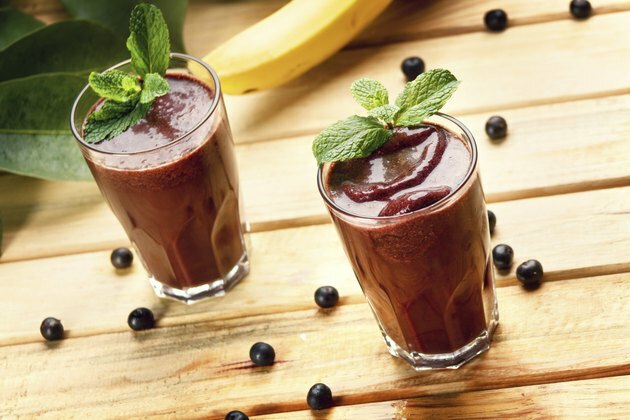 What Are the Dangers of Acai Berry Supplements? Acai berries are marketed as a "super food" and touted for their health benefits and supposed weight loss effect. While acai berries offer many nutritional benefits, there are also dangers associated with acai berry supplements. The red berry is grown in South America. The rich content of antioxidants, anthocyanins and flavonoids provide the berry's health benefits. Acai fruit also contains important amino acids for protein synthesis, along with monounsaturated fats. Many acai products are not pure acia berries and contain added preservatives and supplements that might decrease the acai berry's natural benefits, and may even be detrimental to your health. Allergic reactions can occur if you have a pollen allergy or sensitivity to the acai palm. If you have an allergy to other fruits or pollen, be careful if you decide to try any acai berry products including the supplements. Try an allergy test or taste a small amount of the product first before taking a large dose or adding it into your diet. The greatest risk associated with acai-based supplements does not come from the acai berry's ingredients, but rather other added ingredients. One of the most common ingredients added to acai supplements is caffeine, which can cause headaches, stomach aches and other side effects. An article published in the Los Angeles Times in May, 2009 cited that caffeine is usually added to dietary weight-loss supplements to suppress appetite and help accelerate metabolism. Caffeine is usually not listed on the product labels. Acai contains many minerals, and it is possible to overdose if you consume too much of some of these substances. Toxicity is a danger if you are not aware of the amount of added supplements and minerals in each product. Eat acai berries in moderation, but do not go overboard. Be cognizant of the ingredient labels on the products and research the different types of acai supplements available on the market. The National Library of Medicine, Dietary Supplement Labels Database is a good place to start your research (see Resources). Most fruits, like berries, have high antioxidant content, but they also contain a large amount of sugars in juice form, along with a lot of calories. Diabetics or individuals who are at high risk for diabetes should be careful when deciding to add acai berry supplements or acai products into their diet. Los Angeles TImes: Here's what's in those weight-loss supplements? How Much Caffeine is in Green Tea Extract? How Much Caffeine Is in Crystal Light?